Augmentin is part of the penicillin family that treat bacterial infection. Learn all about its uses, dosage and side effects to avoid any problems. Augmentin is a combination of clavulanate and amoxicillin that is used to help treat bacterial infections. This drug is part of the penicillin family and acts as a beta-lactamase inhibitor. These medications cannot help treat the common cold or the flu. Many of the directions and side effects for this medication are dependent on the condition of the patient, so do not be surprised if the instructions or warnings from your doctor are different than those on the package. Just be sure to confirm all details with your doctor before you begin taking your mediation to ensure a proper dosage. 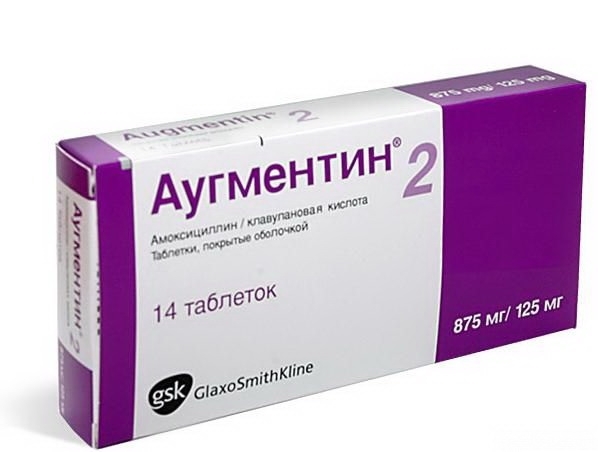 Augmentin is sold under the brand names Amoclan, Augmentin ES-600 and Augmentin XR in the United States. You may see the name Amoxi Clav used in other countries. These medications are used to kill bacteria to stop the spread of infection in the body. Augmentin is available in tablet, extended release tablet, chewable tablet or suspension powder form. Dosing size may vary from patient to patient, so talk to your doctor to confirm the proper instructions for your prescription before you start taking your medication. Dosing size and instructions may also vary by brand, so read the instructions on the label carefully before consuming. You may take Augmentin with or without food. Tablets should be swallowed whole to ensure that the medication is released into the body at the proper rate. Chewable tablets should be followed by a glass of water to ensure all of the medication has been consumed. Oral suspension Augmentin should be kept refrigerated and will need to be shaken before you measure out your dose. Only use the measuring spoon or dropper that came with your prescription to measure your dose. If you miss a dose, take it as soon as you remember without interfering with your regular dosing schedule. You should not double up doses to make up for those that have been missed. The average dose of an oral form of Augmentin is 250-500 mg every 8 hours. This may be increased to 500-875 mg every 12 hours depending on the nature of the prescription. Those using extended release tablets may receive 2000 mg every 12 hours. The minimum effective dose of Augmentin is 20 mg per kilogram of body weight per day. Doses of an oral form of Augmentin should not exceed 1750 mg in a 24 hour period. Extended release doses should not exceed 4000 mg in a 24 hour period. Those with kidney disease should not use extended release tablets as they may not be cleared from the body properly. Children over 3 months in age can take up to 90 mg per day in divided doses. Doses will be directly dependent on the weight of the child, so you may need to have your file updated with this information before you can receive your prescription. The use of Augmentin in children under 3 months will need to be evaluated by your doctor for safety. The typical dose for this age group is 30 mg divided into doses every 12 hours. Children under 40 kg should not use Augmentin tablets, but should be restricted to the oral suspension or chewable form of the medication. Side effects for Augmentin are not particularly common. The most commonly reported side effect for this medication is diarrhea or loose stools, which occurs in up to 9 percent of the population. An additional 3 percent of patients report nausea while taking Augmentin, and 1 percent report vomiting. These side effects may be avoided if your prescription is followed by food. If your symptoms persist, contact your doctor for advice on how to proceed. Some side effects may be a sign of a severe reaction to the medication. If you begin to experience unexplained rash, hives, itching, wheezing, difficulty breathing or swallowing or unexplained swelling, stop taking your medication and contact your doctor right away as these symptoms are typically a sign of an allergic reaction to the medication. If your breathing becomes very labored or you feel as though you will lose consciousness, contact emergency medical services. Other severe symptoms of Augmentin include severe diarrhea which lasts longer than 3 days or vaginal yeast infection. These are signs that another infection has taken hold in the body. Contact your doctor to make an appointment to have your medication adjusted to help fight these new symptoms. Taking your doses regularly can help avoid these symptoms from occurring. In some cases, patients using Augmentin have suffered from liver failure. Symptoms of this condition include upper-right abdominal pain, dark urine or yellowing of the eyes and skin. Those who are prone to liver disease should be especially mindful of these side effects. If you begin to experience any of these side effects, contact emergency medical services or poison control immediately to get assistance. Elderly patients are more likely to have kidney or liver problems while using Augmentin, so they should consult their doctor about any potential risks that may exist. Studies have shown minimal risk for women who are breastfeeding. Studies have not been able to accurately predict whether or not Augmentin can harm a fetus when a woman is pregnant. These groups will need to watch very carefully for side effects to ensure that they are not developing a negative reaction to the medication. Discuss any potential risks with your doctor before you start using Augmentin. Those with a known allergy to medications in the penicillin family should not use Augmentin. Because Augmentin is a drug that combines two different medications, you will need to adjust your other prescriptions to ensure that you do not overdose on either ingredient. Medications that are known to require an adjustment when you begin taking Augmentin include venlafaxine, methotrexate and warfarin. Some medications also cause in increased risk of side effects when used with Augmentin. Inform your doctor about any medications you are currently taking. Medications known to react negatively with Augmentin include probenecid, norgestrel, norgestimate, norethindrone, norelgestromin, mestranol, medroxyprogesterone acetate, levonorgesterel, khat, etonogestrel, ethynodiol, ethinyl estradiol, drospirenone, diegonest, desogestrel and acenocoumarol. You should also inform your doctor about any other antibiotics that you may be using to treat this infection or any others in your body to ensure that you will not put yourself at risk of an overdose.